Sports Rendezvous: Anthony Joshua confident of landing knockout blow — but has a contingency plan for Joseph Parker. Anthony Joshua confident of landing knockout blow — but has a contingency plan for Joseph Parker. 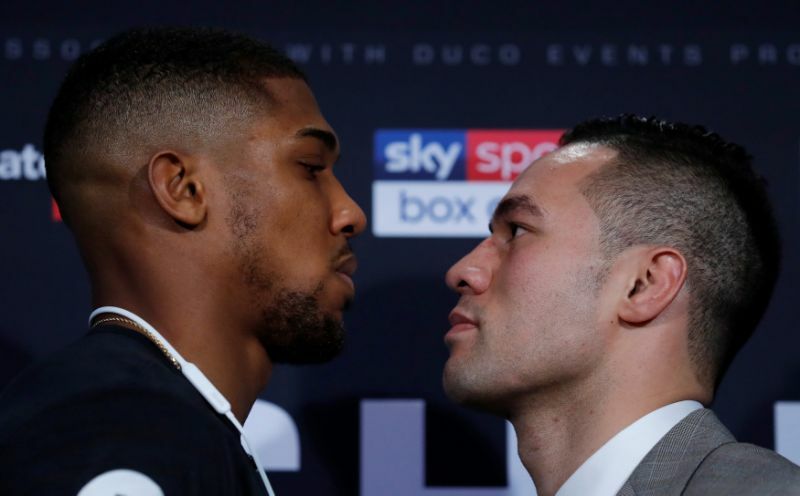 Anthony Joshua has said he fully expects to knock on Joseph Parker in their unification fight this weekend – but has a contingency plan in place if he is taken the distance for the very first time. The pair fight this Saturday at Cardiff’s Principality Stadium, with the WBA, IBF, IBO and WBO heavyweight titles on the line. And at the final press conference ahead of the eagerly anticipated fight, a relaxed looking Joshua said he was confident of extending his flawless professional record to 21-0 – whether that be by knockout or on points. “He is quick and he can take a punch but that is what I have heard, so I am repeating what people are saying,” Joshua said.